I have been long saving this wonderful sculpture to send out as our Christmas Card. I am proud to announce that, after being on loan from Architectural Heritage for a year, this work 'Epiphany' by Joseph Cribb officially entered the collection of the Ditchling Museum of Art + Craft, with funding aid from the Victoria & Albert Museum Art Fund and other generous donors. Apprenticed at the age of 14, Joseph Cribb learnt his trade from Eric Gill (1882-1940), one of the greatest sculptor stonemasons and letter cutters of the 20th Century. Moving with his master to Ditchling in Sussex from Hammersmith in London, Cribb's lifelong association with Ditchling began. After finishing his apprenticeship in 1913 Cribb had already completed works such as the lettering for the famous tomb by Jacob Epstein for Oscar Wilde, as well as assisting on numerous well known Gill projects. This co-operation continued until the Great War intervened with service from 1915 -1919. Upon his return, whilst still working with Gill, Cribb also collaborated with Gill's brother, MacDonald Gill, designing the standard War Grave, now so synonymous with the fallen. 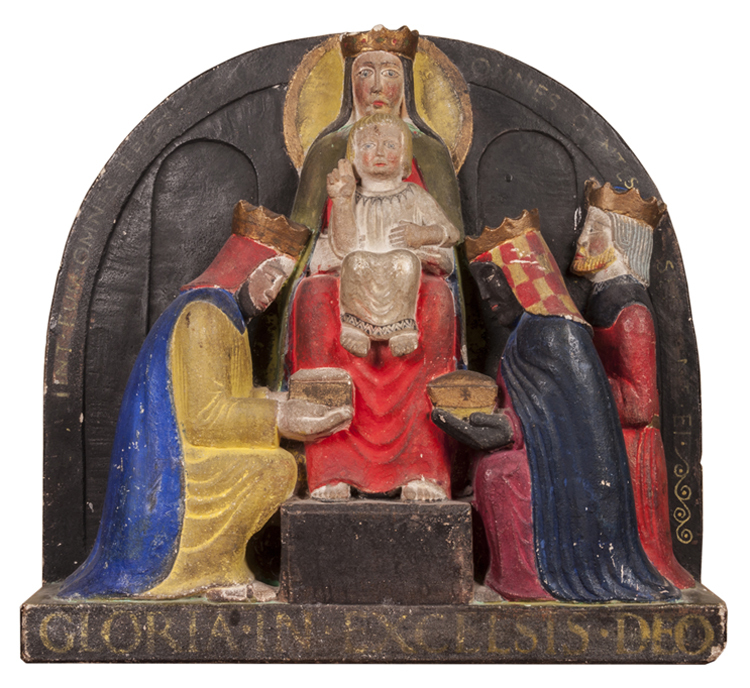 Around Christmas in 1920 Cribb, with Eric Gill and others, formed the 'Guild of St Joseph and St Dominic', a Catholic artistic community based in Ditchling. The Guild's ethos was 'Men rich in virtue studying beautifulness living in peace in their houses', though it must be said that a number of talented women did join the Guild in its later years. After Eric Gill departed for Capel-y-ffin in 1924, it was Cribb who was left in charge of the Ditchling stonemasonry workshop. He worked through the lean times of the 1930s to run a successful sculpting (over twenty Stations of the Cross series) and letter cutting business (war memorials being a major source of work). In time, Cribb employed his own apprentices and for the remainder of his life was a major figure within the Ditchling and surrounding community, until his passing in 1967. This is a wonderful museum - recently a finalist for 'Museum of the Year' no less, and if you are passing or happen to be going to the Opera (Glyndebourne is very nearby), I heartily recommend a visit. The museum itself holds a growing internationally important collection of work by the artists and craftspeople who were drawn to the village of Ditchling, including the sculptor, wood engraver, type-designer and letter-cutter Eric Gill, the sculptor and letter-cutter Joseph Cribb, the calligrapher Edward Johnston (responsible for the famous Johnston typeface used for London Underground), the painter David Jones, the printer Hilary Pepler and the weaver Ethel Mairet.